If you’ve spent hours-and-hours swiping left and right in search of your dream date, you’re not alone. 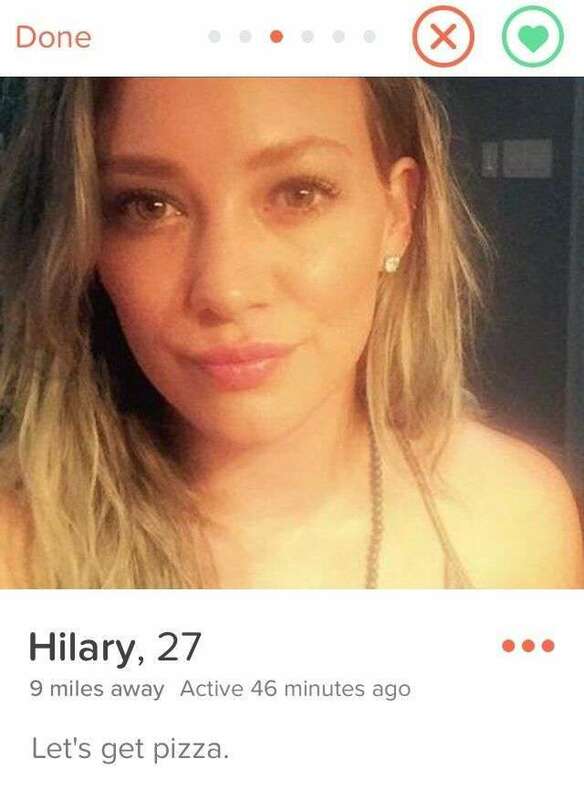 The latest known celebrity to join Tinder is the lovely Hillary Duff, who spilled the digital beans in a radio interview on “Valentine in the Morning” in Los Angeles. The blonde-haired beauty filed for divorce from her hockey player husband earlier this year and entered the Tinderverse to get back on the saddle. What does Hillary say about being on the hottest mobile dating app? She’s says she’s never been on a blind date and is looking forward to her first date tonight. Duff admits the whole process is “wildly addicting.” She’s talking to about 9 guys now and gives her input on why she swipes right. To get a date with Duff, she says that the guy must be funny and make her laugh. She’s bringing a few friends on her date and so is her date. So it’s a group date. Need help with your Tinder profile? Check out our Swiping Right service to help you with your Tinder profile and to fill your date card. Follow @JulieSpira for online dating and mobile dating advice.